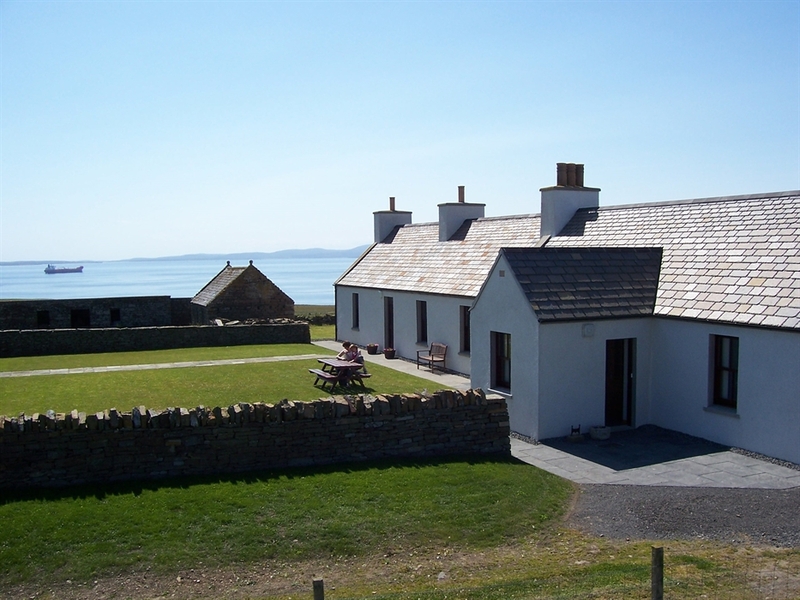 Netherbutton Cottages are two luxury country cottages with superb views over Scapa Flow, the buoy marking the war grave of the Royal Oak, the Hoy Hills and South Isles. The cottages are situated only 3 miles from the outskirts of Kirkwall, Orkney's main town, in a peaceful location surrounded by farmland and open views in the parish of Holm. A traditional dry stone dyke surrounds the large garden and compliments this Historic Scotland 'C' listed property and nearby out buildings. Each cottage has its own separate entrance and parking area. Both cottages are designed and equipped to an extremely high standard with modern interiors and stylish furnishings. Once again, they have both achieved a very secure overall 4 star grading from Visit Scotland. Exceptional care is taken to maintain the highest standard of cleanliness. The cottages are nearby to many of the popular tourist attractions including the Churchill Barriers, the famous Italian Chapel, Highland Park Distillery, St Magnus Cathedral and to all the other sites on the Orkney Mainland. Also, nearby to the ferry terminals for day trips to the outer islands. We hope that our cottages will provide you with quality accommodation to enhance your visit to Orkney.